The theme for these posts is the creation of a capsule wardrobe of essentials that will be endlessly wearable and pretty much timeless. They're your wardrobe heroes and they're the items you should invest a little more in so that they do last from year to year. When it comes to footwear, it's SO tempting to buy lots. I'd hazard a guess that footwear is the most under-utilised part of our wardrobes. They're beautiful, always fit us regardless of how well we are looking after our bodies and you can find the most gorgeous footwear now at such good prices. But I urge you to invest in your footwear and buy fewer pairs and key to doing this is to buy the styles of footwear that will work hardest for you - the essentials. I'm not going to cover occasion/going out footwear. This is day to day, working/casual based and I'm splitting them into 3 sections - Flats, Boots & Trainers. I don't think there's a winter outfit in your wardrobe you can't complete if you've a pair of each. Starting with flats because who has the time to wear heels anymore? Yes, for a night out but day to day, unless it's a boot with a small chunky heel, I'm in a flat. It gives you so much freedom to move quickly and safely and with the selection out there, they don't have to equal frump. 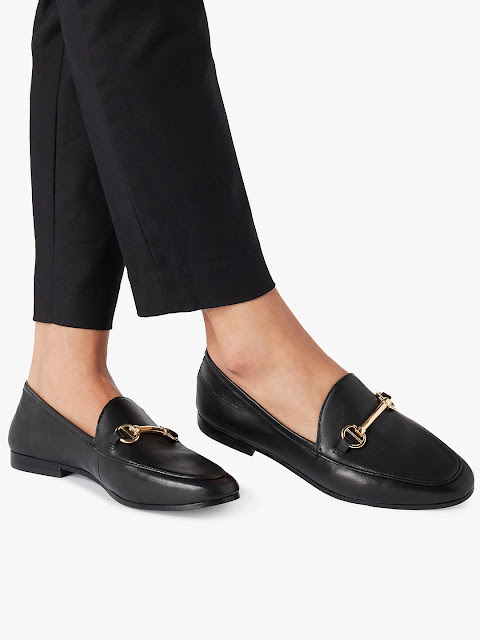 My favourite flats are loafers, followed closely by brogues. I find loafers more wearable generally though with skirts, jeans, trousers etc. The androgynous style of a brogue needs to be styled carefully to avoid looking masculine. They work best for me when combined with feminine items like skirts or culottes. 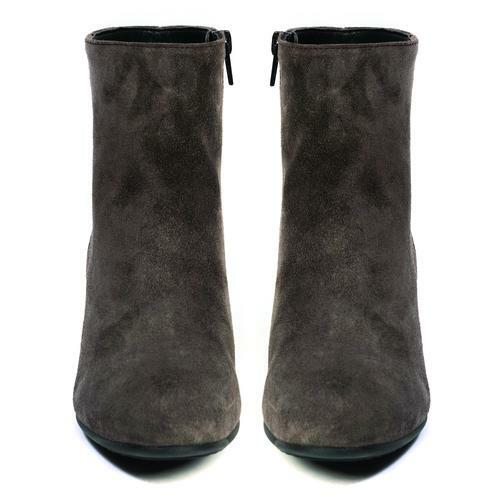 Moving to boots now and a black or grey ankle boot will see you all through winter. The right pair is wearable with dresses, trousers and skirts, casually and for work. 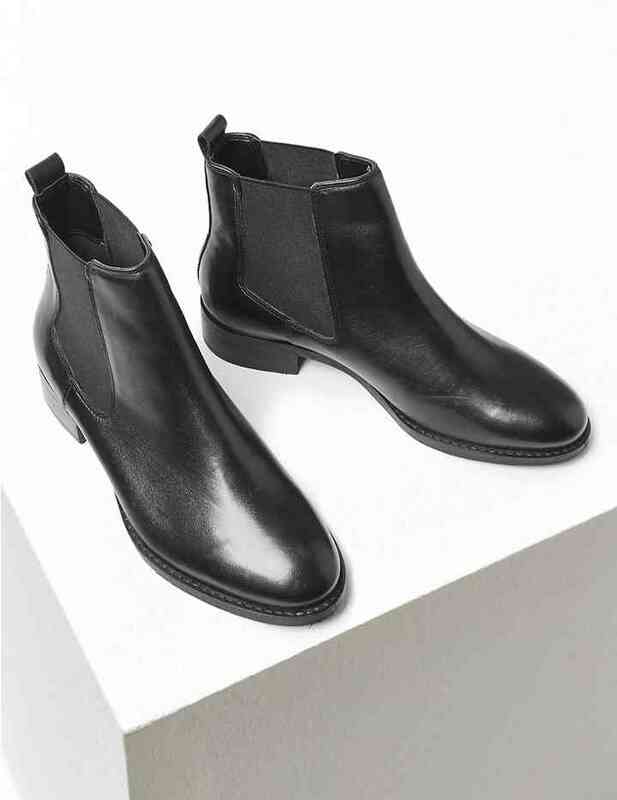 I've seen a few bloggers recommend these M&S flat chelsea boot - available in black and brown. For a heeled version, it's M&S again and these Autograph ones that were part of the Holly Willoughby must have range. Really lovely on and back in stock in some sizes - keep an eye on the website for re-stocks daily if you want these! And now for trainers...and if it's a look you love, as I do - then invest. I bought the Seven Boot Lane leather ones about 18 months ago and they've been worth every penny. 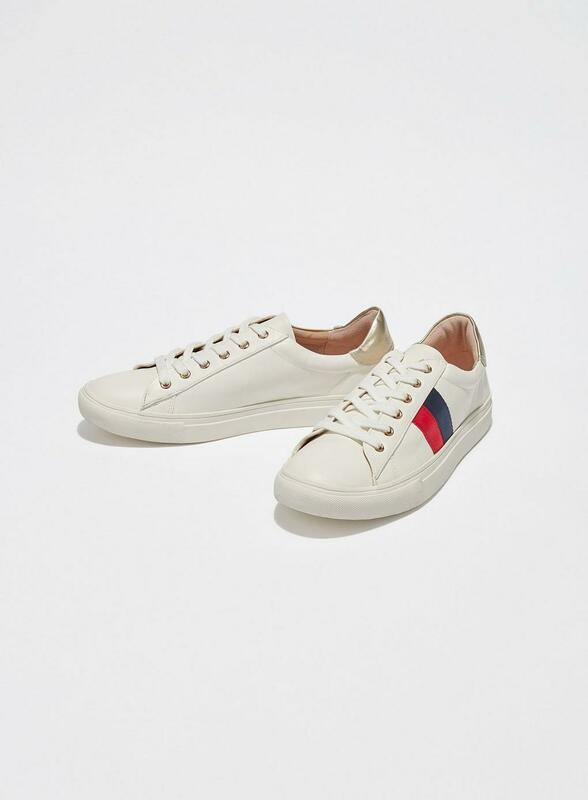 Leather trainers are more comfortable to wear and age better. I can't see myself needing to buy another pair of white trainers for years. 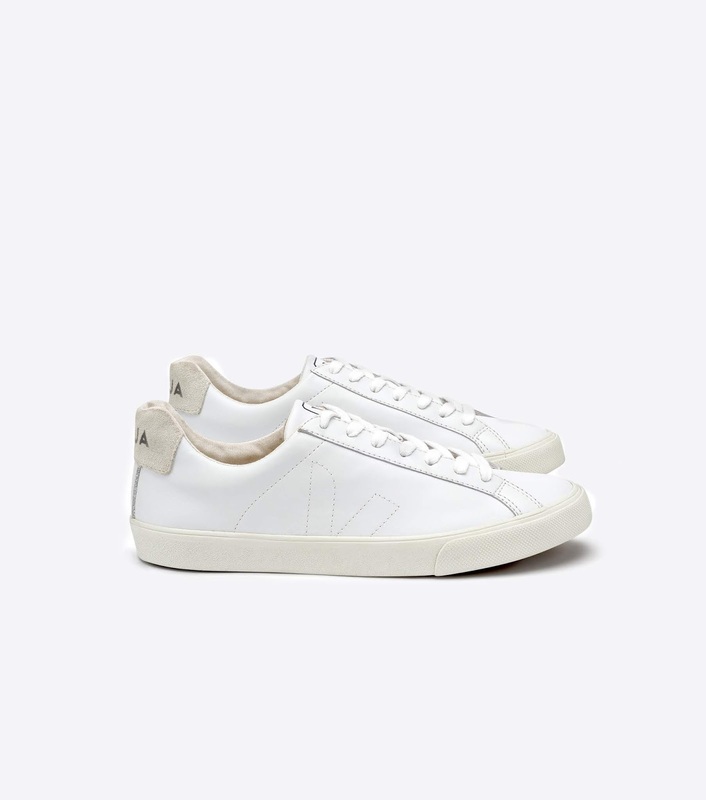 I mentioned above that SBL is no longer trading so for an investment pair of trainers, I recommend Veja. They have a great ethos and make amazing trainers. They retail at about the same kind of price point as Seven Boot Lane and they have a great back story - you can read all about them on this link. Also, check out their Outlet section for end of lines at reduced prices. And that's it - my footwear essentials. 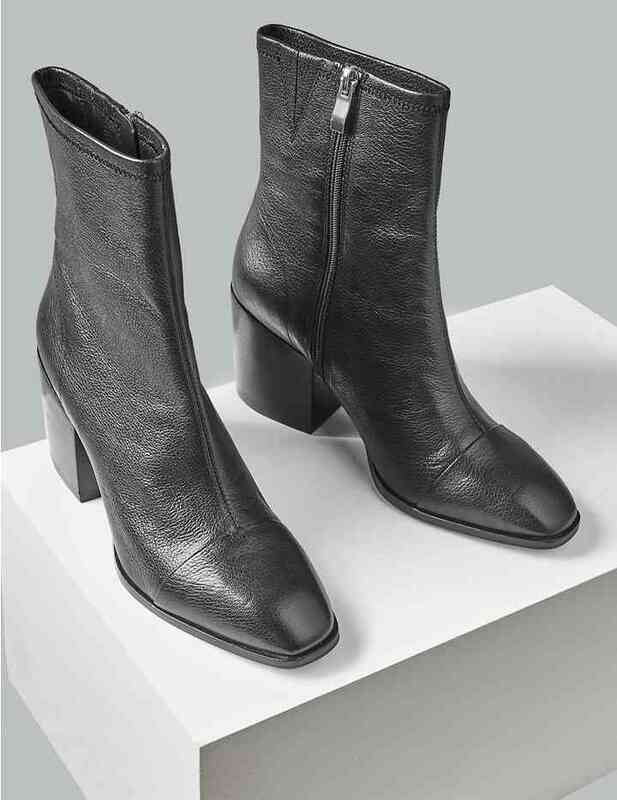 I've been asked about longer boots and yes, they are making a comeback but I still stand by ankle boots from a price per wear point of view. I don't think you get the same wear from long boots and the season to wear them is shorter than ankles, which can be worn almost all year round. Would love to hear your views and other recommendations so leave me a comment if you've any suggestions. Coats have been requested as the next essentials post so stand by...I'll have it ready for you as soon as! Really enjoyed this post, came across you by chance ! I sometimes hate buying footwear as its a pain getting 'it right' versus 'comfort ' !!! 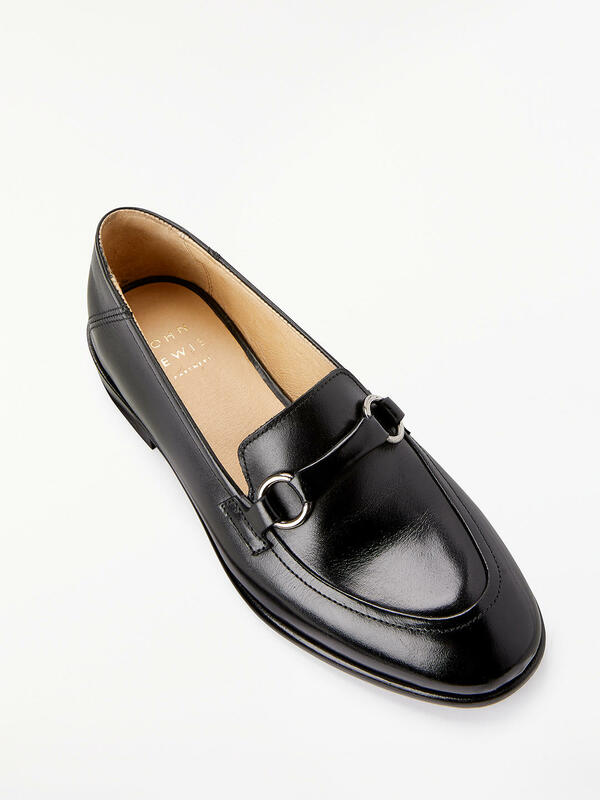 I have just bought the M & S boots, though in the wider version as I have just slightly wider feet than average ( plus its nice to have room in winter boots ) I mainly tend to wear boots and sandals, so I may take a look at those JL loafers next time I have a day out into my nearest city. I am a little late in the season and perhaps in years to try the white trainer look !! !...but hey ho if its a strong trend next year I may invest. Thanks again for a great read.